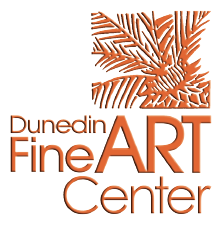 Visual Realm is excited to announce that the Dunedin Fine Art Center has chosen our proposal out of numerous applicants to build their new, state-of-the-art web site. The plan is to make the new site as fun and innovative as the Dunedin Fine Art Center’s extensive exhibits, classes, and events. This new site will include some of the newest technologies on the web. A fully custom Content Management System (CMS) will be build so each department head can update their section easily. The Dunedin Fine Art Center will be holding their 32nd Annual Garden Party, Art Jewels & April Fools, this Sunday April 1st, 2012. The party will feature art auctions, fantastic food and drinks, and live music by Ricky Wilcox and the Moonsnakes. Kyle Theil is the CEO and Senior Designer at Visual Realm – A Tampa Web Design and Marketing Company.